If you deal with digestive discomfort after eating, it may be due to the fact that as you age your body produces fewer digestive enzymes. 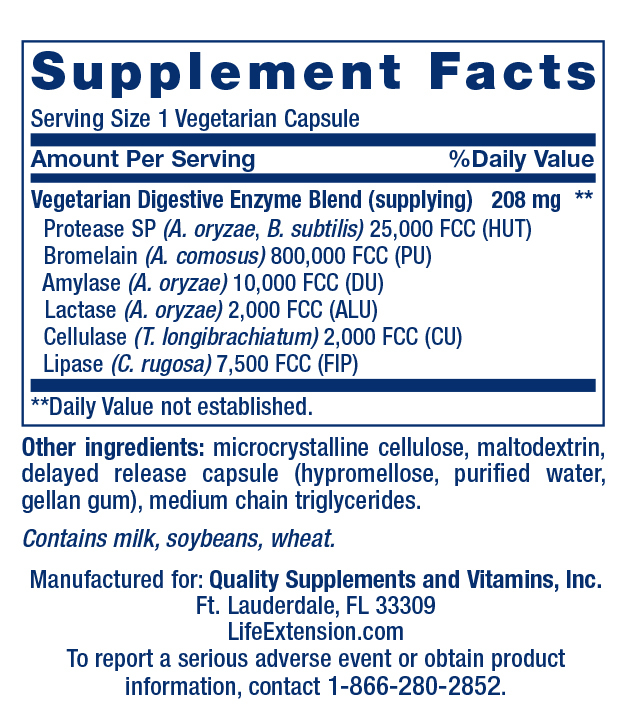 Luckily, Life Extension’s Enhanced Super Digestive Enzymes are here to help change that. Created to help support healthy digestion, these enzymes help promote better absorption of nutrients to make meals enjoyable again. Providing three different types of digestive enzymes and designed to adapt for an array of stomach conditions, these enzymes won’t have you dreading your next dinner.